Condiments are key when eating Paleo, and BBQ sauce ranks high on the must-have condiment list. 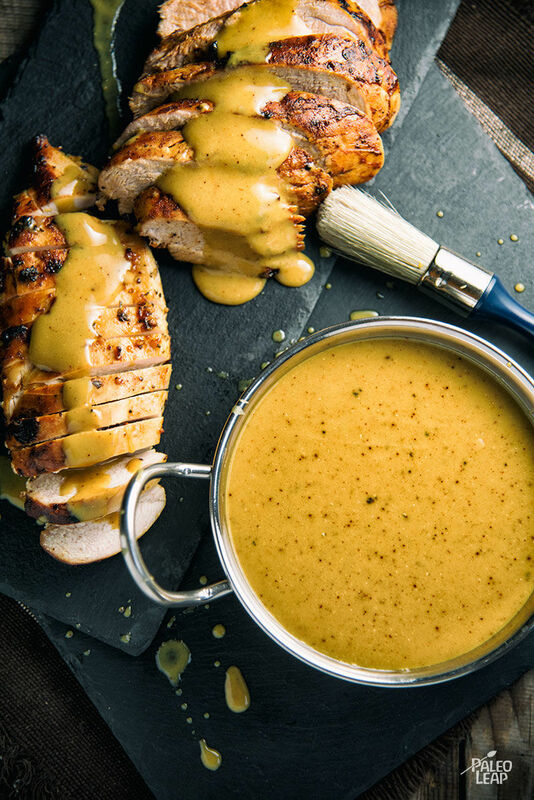 While traditional barbecue sauces are red and tomato-based, this bright yellow BBQ sauce reigns from South Carolina and is mustard-based. 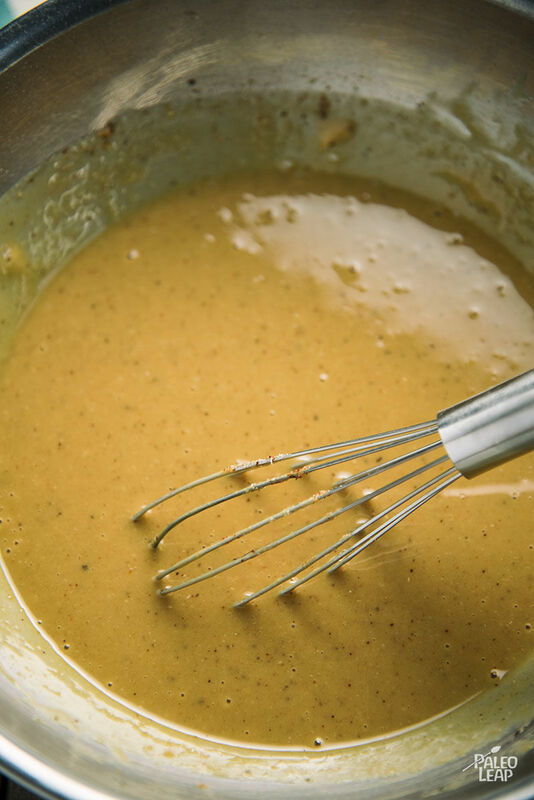 Carolina mustard sauce may appear different than red BBQ sauce, but they both exude flavors of tang, sweetness and bite. The key ingredient in this recipe is the mustard, more specifically prepared yellow mustard — think of the mustard you find at the ballpark. And just like any BBQ sauce, the low simmering process combines the flavors, and the sauce is even better the next day. If you have an autoimmune condition or have an intolerance to tomatoes, you can omit the ketchup in this recipe, and never miss out on BBQ sauce again. But remember, mustard is made from a seed, so if you have an autoimmune disease or are avoiding seeds, then this sauce not be for you. So, what do you paint this BBQ sauce on? The sky is the limit! Try pulled pork, pork ribs or tenderloin, grilled chicken, breaded chicken (use as a dip), meatloaf… the list goes on. Store in the refrigerator for up to 2 weeks. Combine all the ingredients in a saucepan and season to taste. Bring the sauce to a light simmer over medium heat. Simmer the sauce for 8 to 10 minutes, then let cool. Serve the sauce with grilled chicken, pork or beef.